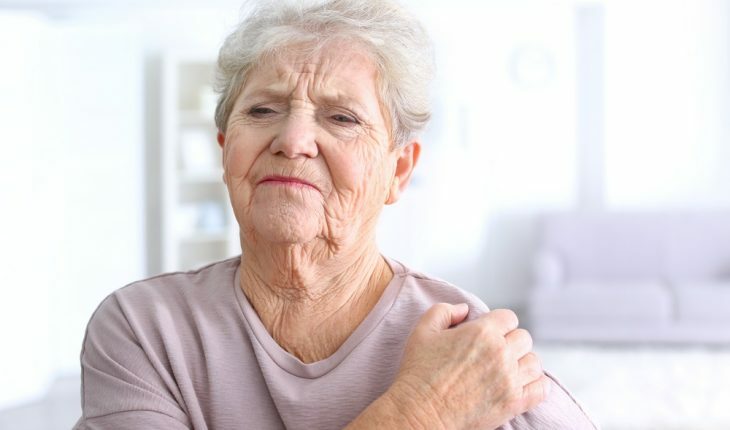 The effect of a new concept known as High Impact Chronic Pain (HICP) is as likely among people with chronic pain as it is among people with kidney failure, emphysema or stroke, according to the National Institutes of Health. In a press release citing a new study, the NIH said that 11 million U.S. adults have HICP, defined as pain lasting three months or longer and accompanied by at least one major activity restriction. The study — conducted by scientists at the National Center for Complementary and Integrative Health (NCCIH) and the National Institute of Neurological Diseases and Stroke (NINDS) Institutes of Health as well as the Kaiser Permanente Washington Health Research Institute, Seattle— was published in the Journal of Pain. One of the lead authors said studies before this one focused on the duration of pain only, which can give a distorted picture of the number of people suffering from it. “The multidimensional nature of chronic pain is not reflected in commonly used operational definitions based solely on pain duration, resulting in inordinately high prevalence estimates that limit our ability to effectively address chronic pain on a national level,” said Mark Pitcher, Ph.D., visiting fellow in the Division of Intramural Research at NCCIH and one of the authors of the study. Among the study’s top findings was the revelation that pain-related disability identifies a substantial portion of the chronic pain population experiencing progressive deterioration in mental and physical health outcomes along with substantially higher health care usage. Together, the HICP population constitutes some 4.8 percent of the U.S. adult population. About 83 percent of people with HICP were unable to work for a living, and one-third had difficulty with self-care activities such as washing themselves and getting dressed. “By differentiating those with HICP, a condition that is associated with higher levels of anxiety, depression, fatigue, and cognitive difficulty, we hope to improve clinical research and practice,” said M. Catherine Bushnell, Ph.D., scientific director in the NCCIH Division of Intramural Research and another author of the study. The concept of HICP was first proposed by the National Pain Strategy, an interagency panel aimed at improving pain prevention, treatment and management, and to better identify those with significant levels of life interference. While prior epidemiological surveys have assessed the impact of pain using questions that ask how much pain interferes with life activities, it is likely that individuals with severe pain may have had difficulty distinguishing the increased effort required to carry out important life activities. As such, this study used an alternative approach to separate the pain experience from its impact. Activity limitations and participation restrictions were assessed using general disability questions without reference to pain experience. The study employed nationally representative data from the 2011 National Health Interview Survey to assess the prevalence, psychosocial characteristics, health status and health care usage of the chronic pain population. The study also determined the degree of contribution made by other chronic health conditions to activity limitations and participation restrictions. Statistical analyses were performed on merged datasets that represented a weighted population size of approximately 220.3 million non-institutionalized adults. This study ultimately highlights the role of pain-related disability as a key indicator of pain impact. Its findings not only serve to refine clinical research and streamline treatment, they also provide much-needed information to policymakers. As such, the results are relevant to researchers, health care professionals and legislators interested in shaping policy around a global health issue.